Former Washington Husky Markelle Fultz is working on shooting fundamentals and 76ers coach Brett Brown said, “The progress of his shot is looking great.” Brown added he thinks Fultz, the first player taken in the 2017 draft, is better off focusing on shooting drills than playing. PHILADELPHIA – Brett Brown, coach and interim general manager of the Philadelphia 76ers, plans to fly to Los Angeles on Saturday to check in on Markelle Fultz and center Joel Embiid and accompany guard Ben Simmons at Monday’s NBA Awards Show. Brown was in Los Angeles earlier this month to watch Fultz — a former Washington Huskies standout who was the first player drafted last year — work out with shooting coach Drew Hanlen. 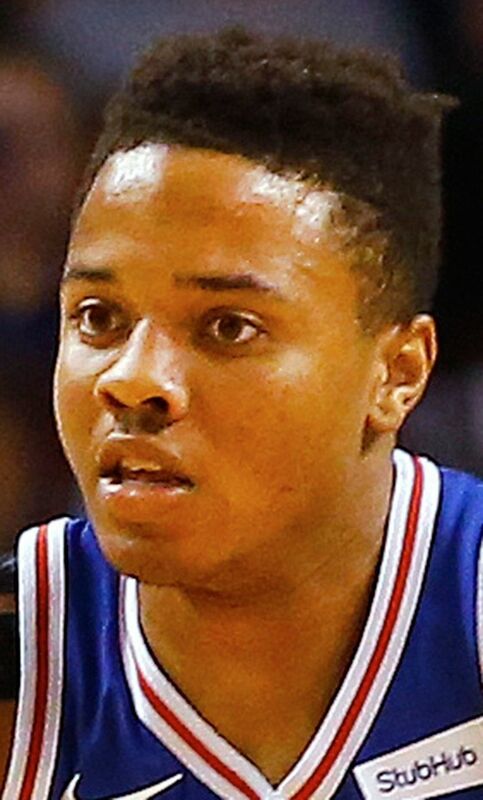 There’s no doubt taking another look at Fultz is a priority on the second trip. It appears Fultz won’t play in the NBA Summer League, which starts July 6, while trying to regain the shooting accuracy he had with the Huskies. Brown noted the guard isn’t playing a lot of basketball. The focus has been on his shot. “It’s back to foundational-type stuff,” Brown said. 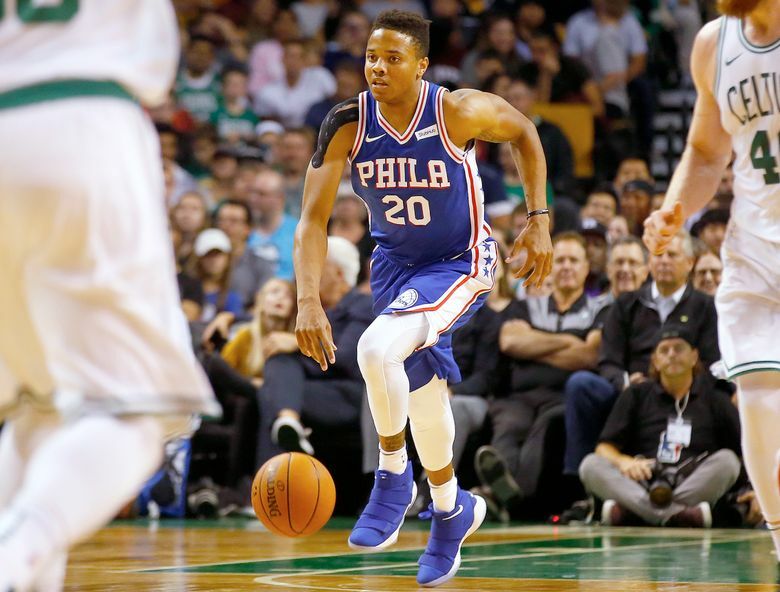 Fultz played in the first four regular-season games before being sidelined for the next 68 with what the team called a right-shoulder injury. But the 20-year-old’s shooting woes were actually mental, according to several sources. After showing some improvement in his shot, Fultz returned for the final 10 games of the season. Brown thinks participating in shooting drills instead of playing basketball is the right path for Fultz. • General manager R.C. Buford acknowledges star forward Kawhi Leonard is unhappy with the San Antonio Spurs. Buford said he is optimistic the relationship can be salvaged. Buford would not comment on “speculation” of a trade demand, but agreed there is a fractured relationship between Leonard and the only franchise he has played for. “We’re going to do what we can to build the best relationship we can with him,” Buford said. • Oklahoma City forward Carmelo Anthony, 34, plans to opt in and take the $28 million he is due next season rather than testing the free-agent market, according to multiple reports.